One down side of hand quilting is that my "to quilt" pile is increasing faster than my ability to keep up with it! 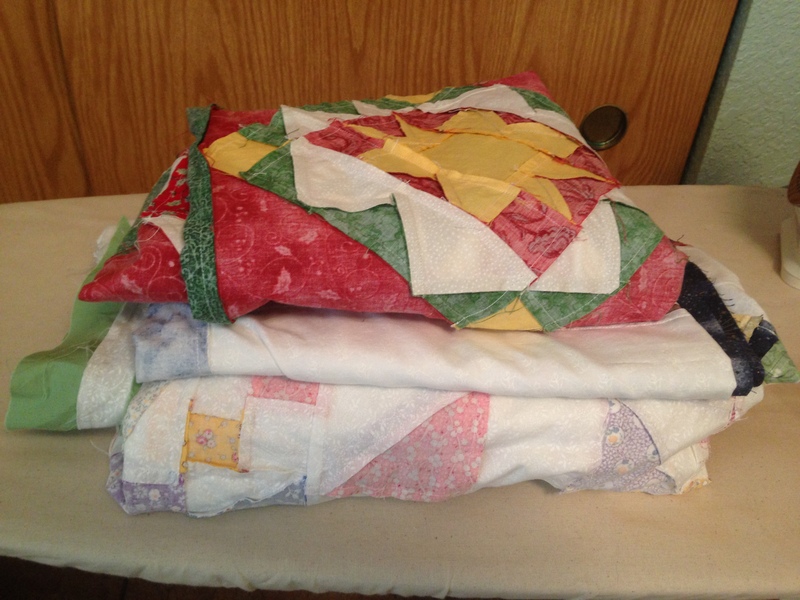 This is only a small fraction of the quilts waiting to be quilted, but are the ones that I want to get to first. Realistically, if I want to get them all done I'll have to machine quilt some of them, but these will be hand quilted. 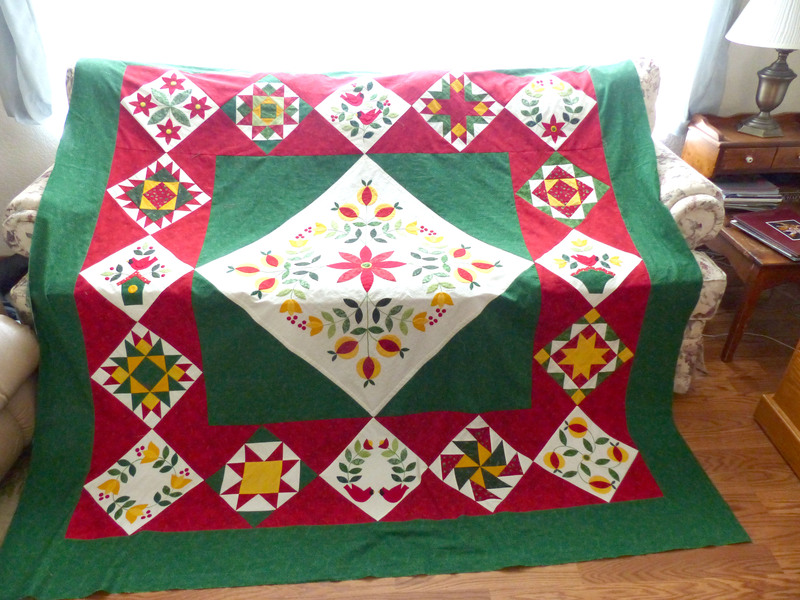 The latest finished top to go in the pile is my rendition of Erin Russek's "Jingle" pattern. Not the best photo, but you get the idea. I'm torn between starting this next or my 30's quilt. I'll probably do the 30's quilt since I actually have the backing for that. I also have no idea what quilting pattern I will put in the border and the triangle on the Jingle quilt, so I'll have to do some research on that. I really wanted to dive right into my Friends of Baltimore, but decided to work on my Loopy Tulips first. Today I spent prepping some leaves. My preferred method of applique is the freezer paper and starch method. I trace the applique shape onto freezer paper, iron it on to the wrong side of the fabric and cut out. Then I use starch and a small iron to turn the seam allowance over. The paper is removed and the resulting shape is glued onto the background with water soluble glue. 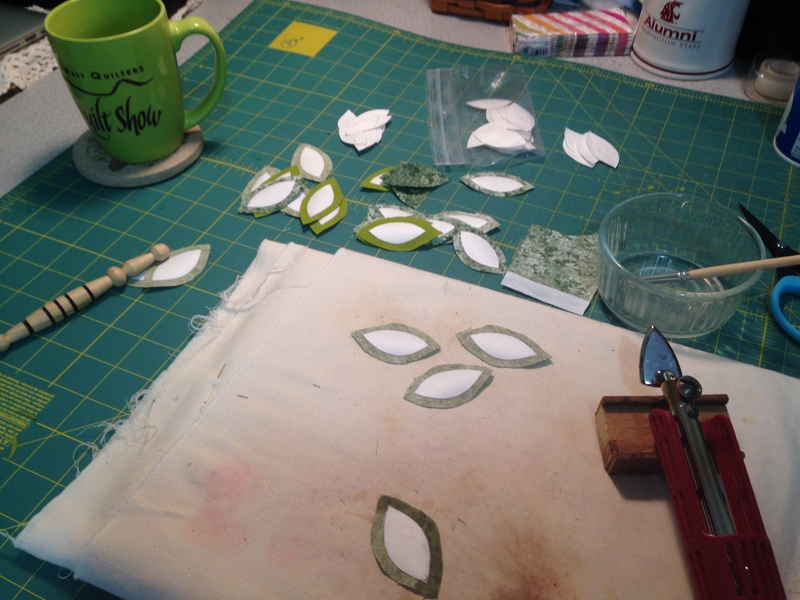 Here is my work table showing the prepping of the leaves. I don't even want to think about how many leaves this quilt has! On the positive side, they're pretty easy shapes to prep and sew down. When I visited my local quilt shop this week I splurged and bought some Tulip needles. I was torn about spending over $1.00 per needle, but have discovered they are well worth it! It makes stitching so smooth! I only tried them with applique but will give them a test drive with quilting this evening. In other non-needlework news, I had my first public performance (other than church) with our bluegrass band last week. 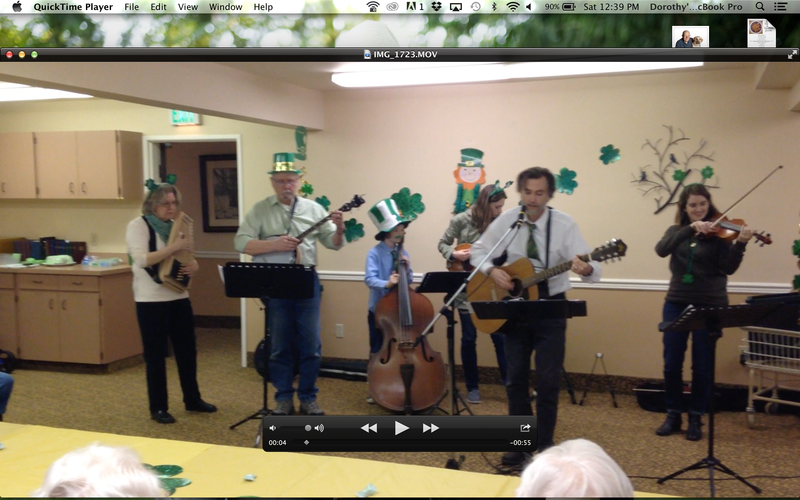 We played at the local assisted living facility for St. Patrick's Day. Not the best photo, but I didn't have the foresight to get our friend to take a picture, so that's extracted from a video. You can see that I am very, very serious! I was concentrating like mad to try and keep up with the rest of the group, who are much more seasoned musicians than I am. That's hubby next to me, our friend Pete in front and his kids behind him and Kerry on the violin. The residents seemed to have a good time and I think I managed to not embarrass myself. Once again I seem to be remiss in keeping up with the blog. I guess I could throw out the excuse of not having enough time, but in reality I've been using my time for other pursuits. 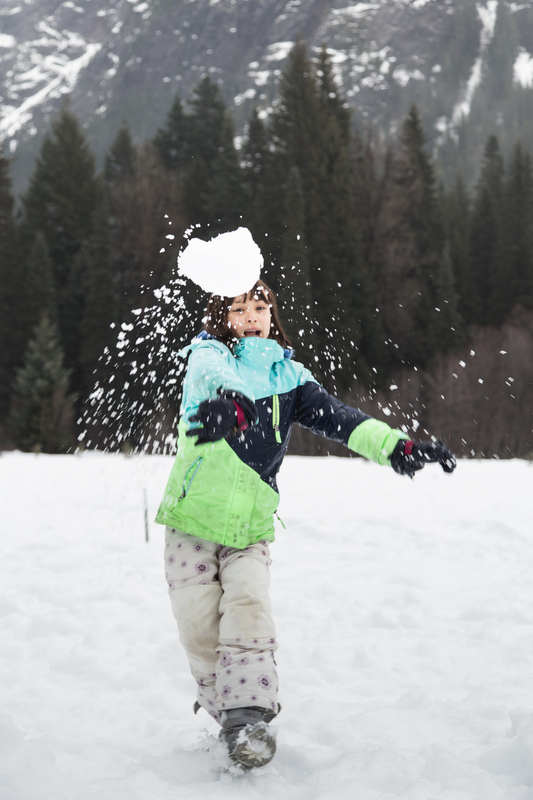 One of those pursuits was what is becoming an annual event – Snow Camp. Last year we had very little snow and this year we were afraid that would be the case again. Driving up it rained the entire way, even up in the pass where you would expect it to be snow. 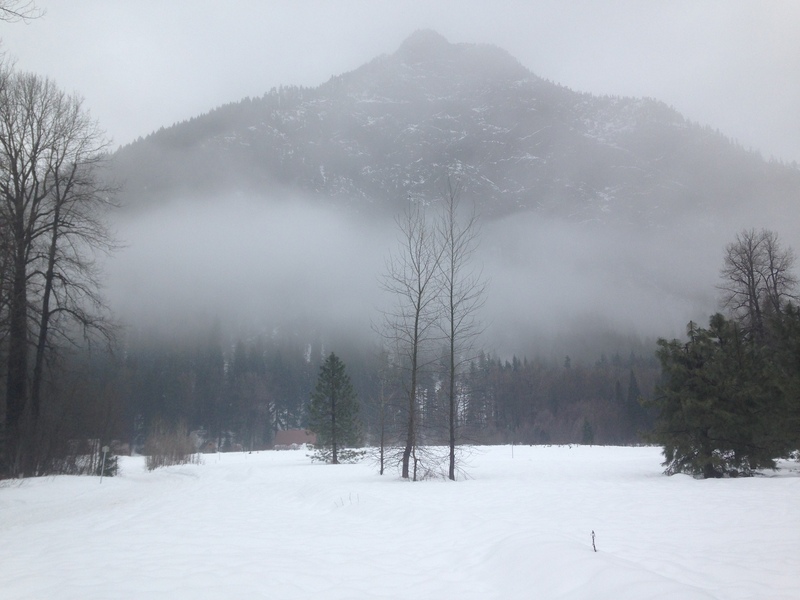 But we were pleasantly surprised to find Tall Timber had plenty of lovely snow! 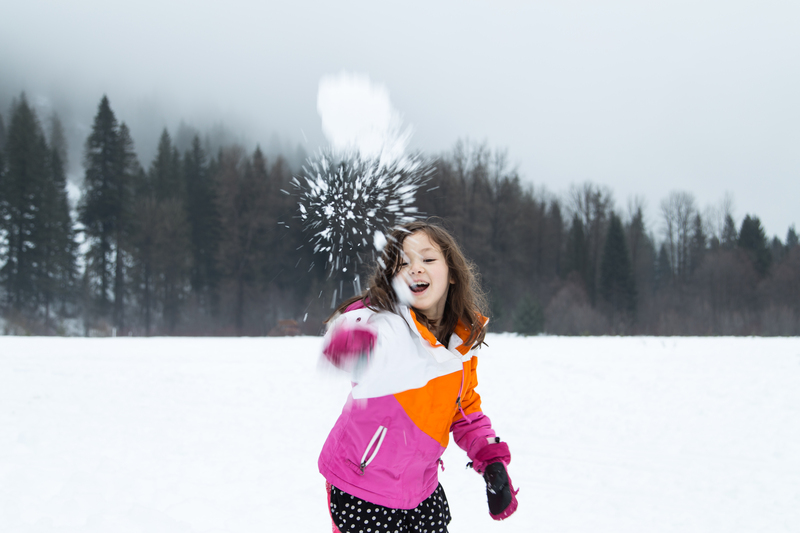 The girls wasted no time in joining the other kids for a no-holds-barred snowball fight. These photos were taken by my friend Bethy. I don't believe she escaped unscathed. 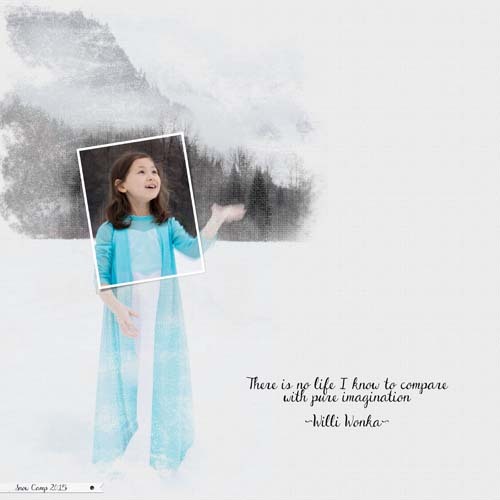 She had also requested that Mei-Mei bring her Elsa dress for some real "Frozen" pictures. 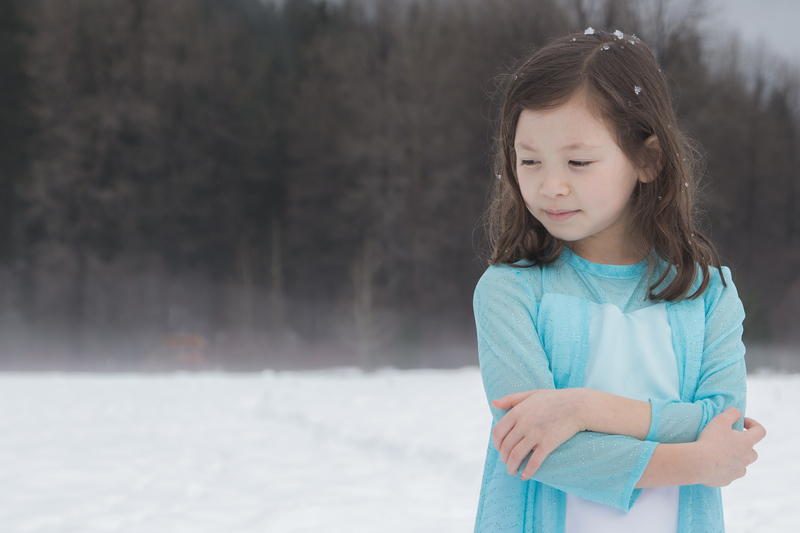 Mei-Mei was a trooper and allowed herself to be carried and plopped down in the middle of a snowy meadow for some truly magical photos. One of these I turned into a scrapbook page. Two years ago Bethy also took some stunning photos of the girls at Snow Camp and this one I used for a challenge – which I won! I think Bethy and I make a good team. On the needlework front I've been doing a lot of quilting. 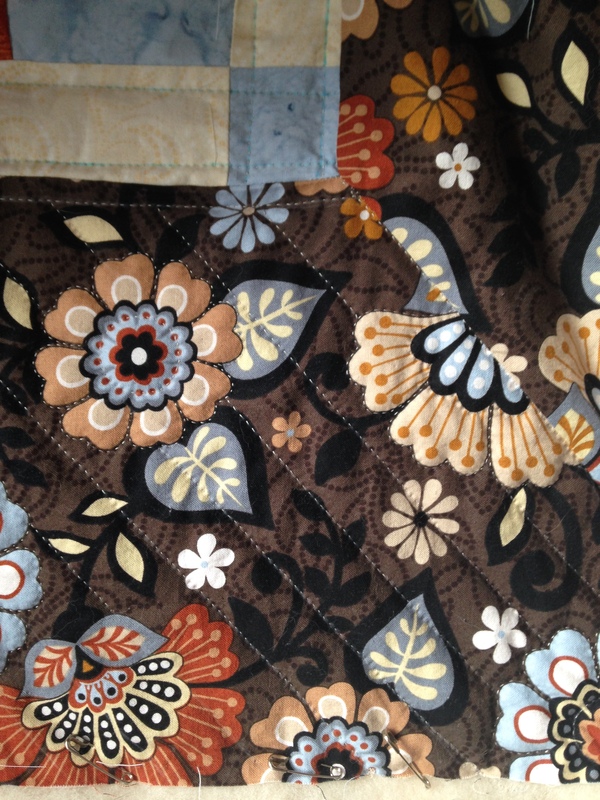 My priority right now in hand quilting is Abby's quilt. The center and inner borders are done and I've started quilting on the outer borders. 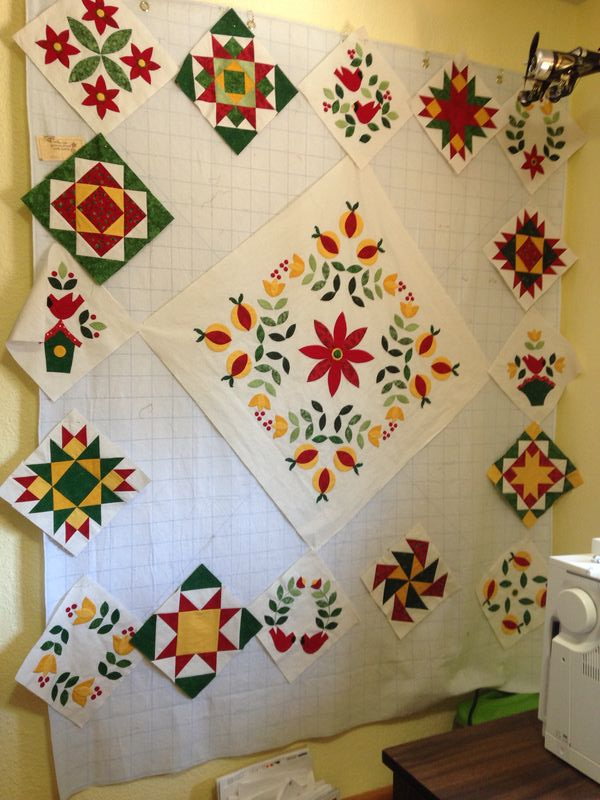 I'm hoping to have this done in time for our quilting guild's show in July. My Jingle All the Way quilt is also coming along, with all of the small applique and pieced blocks done. The only thing left is the embroidery and a few small applique pieces on the large center block and it will be ready to start putting it together. I still sometimes feel as if I'm going at a turtle's place when others in my guild are showing a new quilt every month. But I know the decision of going slower and concentrating on the hand work is the right one for me. I am enjoying the process and I know when I do finish a project, it will be one that reflects my own personality and vision. I have already picked out my next project, and it is a doozy! This is "Friends of Baltimore" by Sue Garman. I was inspired by Kerry of Simple Bird Applique. 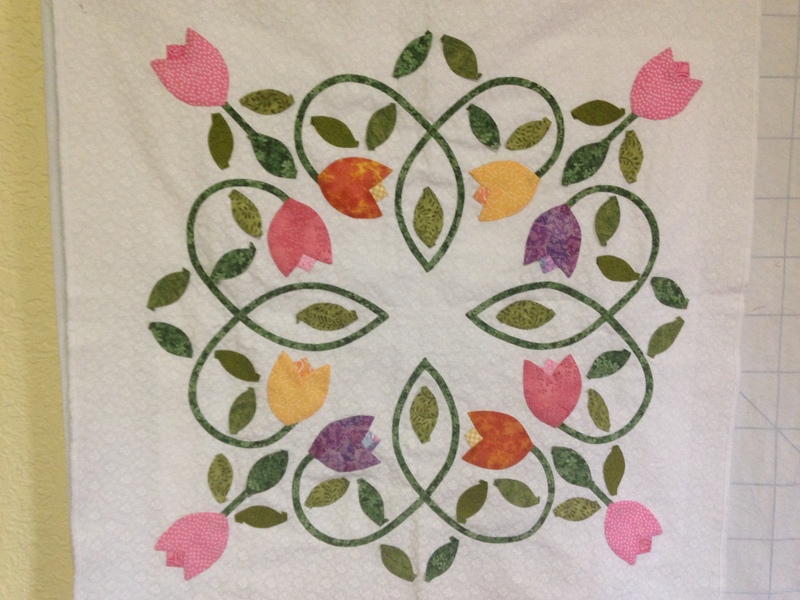 She pointed out that none of the applique is exceedingly difficult – there is just a lot of it! 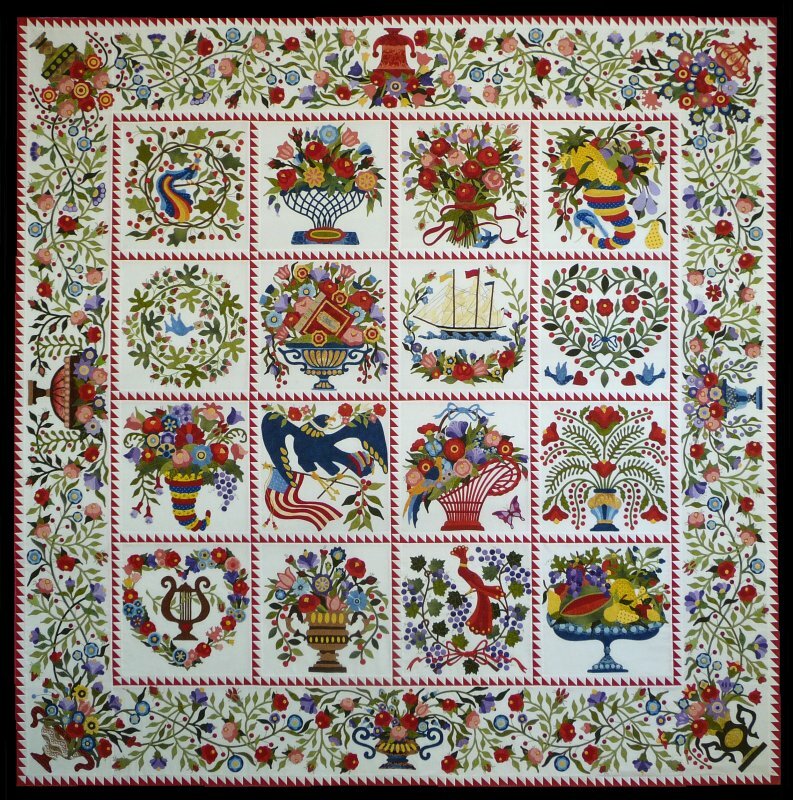 I have bought the pattern for the first block and the background fabric and will begin as soon as I have pieced together my Jingle quilt. Stay tuned! You may also notice that I have changed the blog's theme to a spring motif. With apologies to the rest of the country, we are experiencing an extremely early spring. All of the spring trees and flowers are in bloom and the tulips over on the mainland are blooming almost a month early. 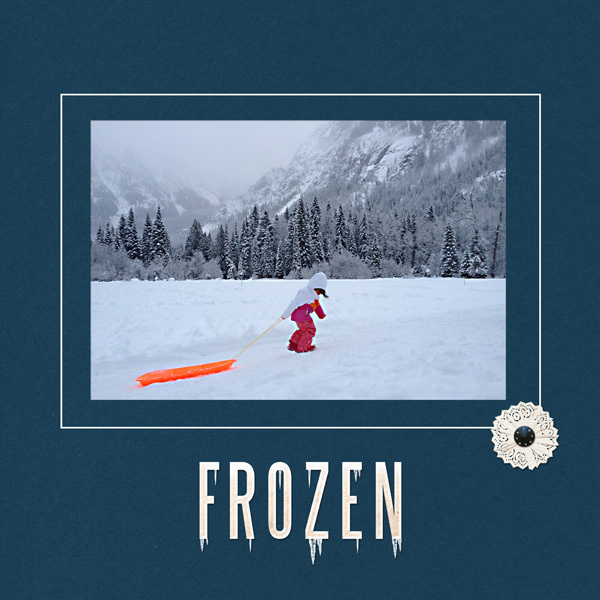 Let's just hope it doesn't kick us in the pants with a late frigid air mass and snow!